Born at London, England on 25 January 1866, son of Dr. Thomas Gray and Catherine Underwood, he came to Manitoba in 1887 and worked on a farm at Meadow Lea, later engaging in farming for himself. 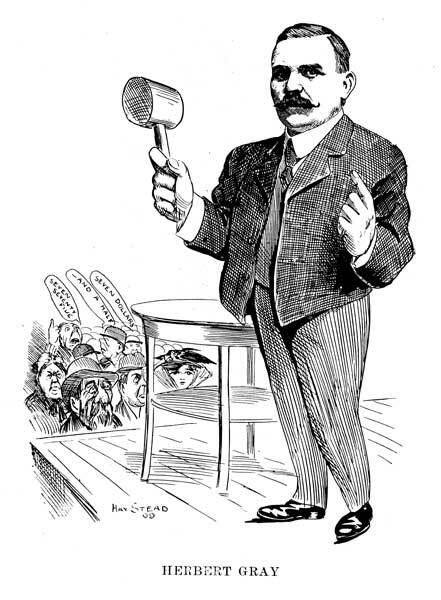 He came to Winnipeg in 1892 and apprenticed in the auctioneering business with A. H. Pulford. In 1899, he opened an auction business for himself. On 15 July 1888, he married Margaret Jones (1870-1917). They had nine children: Herbert James Gray (b 1889), Thomas William Underwood “Woody” Gray (1891-1918), Alfred Gray (b 1893), Marion Constance Gray (b 1896, wife of Athol A. Cornell), Myrtle Jane Gray (b 1898, wife of Frederick C. Vodrey), Sefton Harvey Gray (b 1900), Hugh Victor Long Gray (b 1902), Nelson Alma Gray (b 1905), and Margaret A. Gray (b 1907). 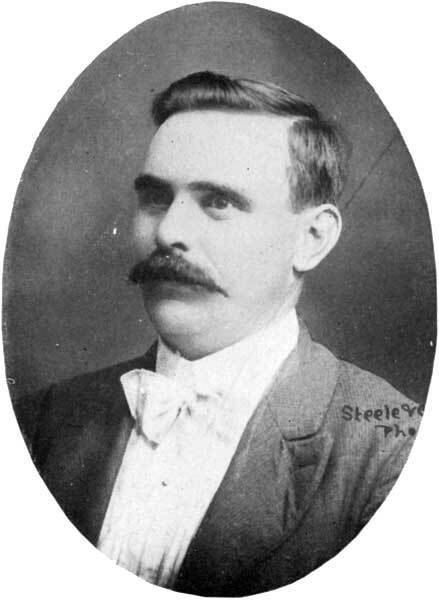 He was elected to the Winnipeg City Council in 1910, serving continuously until 1923. He chaired the Library and Baths Committees for several years and for the last two years was Acting Mayor. At the time of his death was Dean of the Council. He died at Winnipeg on 30 March 1924 after a long illness. He was buried in St. John’s Cemetery. “Alderman Gray is suddenly bereaved,” Manitoba Free Press, 2 March 1917, page 10.